Welcome to Historic Downtown Hendersonville, NC located in the heart of the Blue Ridge Mountains. Western North Carolina is known for its myriad of outdoor activities. Hendersonville, called The City of Four Seasons, is no exception. Come to Kilwins to refresh yourself with a Freshly-Squeezed Lemonade after a hike through DuPont State Park, or a hand-dipped scoop of our "Original Recipe" Ice Cream after canoeing down the French Broad River. Wherever your day takes you and whatever your taste buds demand, Kilwins has just what you're looking for. For eighteen years we have been serving up the small-town charm, friendly service, and exceptional Ice Cream and Confections-- so come in today! Walk through our door and let the sweet atmosphere fill you with the aromas of freshly-paddled Fudge, freshly-made Waffle Cones, and Caramel cooked to perfection. July through December we use local Henderson County apples to create "The Perfect" Caramel Apples. Peanut and Cashew Brittles are made right in our store and stretched on a marble table. Our Caramel Corn, Peanut Corn, and Nutcracker Sweets (Caramel Corn with almonds and pecans) are snack-time favorites of many Hendersonville residents. See creamy Fudge being paddled the traditional way on marble tables. At the same time, watch as we create delicious confections such as caramel and chocolate covered pretzel rods and Peanut Clusters. Whether you like Milk Chocolate Coconut Clusters, White Chocolate Rice Krispie Treats, or Dark Chocolate Peanut Butter Cups; we're sure to have the treat for you! Everyday special: Buy 2 slices of Fudge, get 1 slice FREE! Make sure to get your Ice Cream Punch Card - buy 9 ice creams and get your next ice cream free. 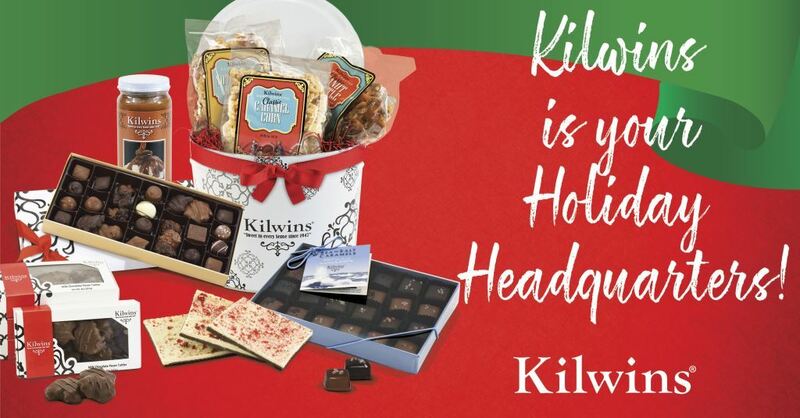 Make Kilwins a part of your family's holiday tradition this year. We can't wait to see you! As you know if you've walked into our store, we're not just about excellent Chocolates, Fudge, and Ice Cream. We're about great people who love what they do and love making a great experience for every person who comes through the door. As some of our most experienced people head for exciting new experiences- from college to traveling the world- we'll be looking for new faces to light up our store. Counter Sales position includes scooping Ice Cream, filling Chocolate Boxes, making Waffle Cones, and lots of other chocolate-related duties, as well as cleaning and stocking. Able to work up to 8 hours on your feet. Available to work evening hours, leaving as late as midnight or 1am. Have a ready smile and a happy disposition. Can handle money and count change. Remember to let your personality come through as you answer our questions; it's the best way to get our attention!